Production Manager - Still considers himself a novice rider, despite passing his test over twenty years ago. Steve has only ever owned four bikes - a '95 Suzuki GSX600F (which he dropped in the first minute of ownership), an '04 Yamaha FZ6 Fazer and currently a '16 Ducati Scrambler Classic, as well as (very slowly) building a '94 Yamaha SR125 'brat tracker'. 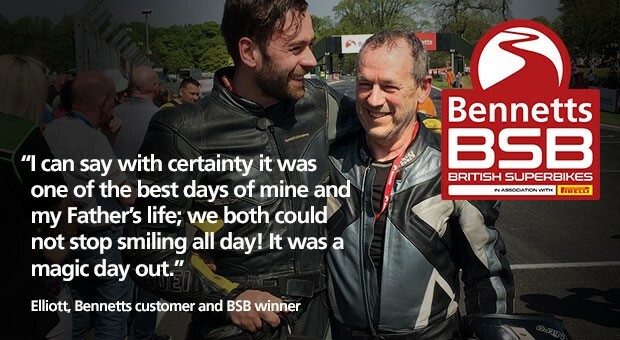 With only a few days to go to the start of the new Bennetts British Superbike season, we take a look at this year's riders, what's new in BSB, what support races we can enjoy, and last but not least, when you can see it all on the tellybox. This year's championship riders comprise the full range of experience including rookies, veterans, TT winners, MotoGP riders and World Superbike riders. With last year's winner Leon Haslam moving to WSBK, runner up Jake Dixon moving to Moto2, and six-times champion Shakey Byrne absent from this season, the championship has never been so open. Winter testing took place at Monteblanco and Portimao in March, and last week at Silverstone. Scott Redding on the new BeWiser Ducati Panigale V4R and Jason O'Halloran on the McAMS Yamaha R1M showed strong early form, as did former WSBK rider Xavi Fores on the Honda Fireblade. How does BSB Showdown system work? The British Superbike Championship points system is designed to create a crescendo of competition towards the end of the season to minimise the chances of anyone securing the title before the final event of the year. This revolutionary concept was introduced for 2010. Standard format of 25 points for a win, then 20, 16, 13, 11, 10, 9, 8, 7, 6, 5, 4, 3, 2, 1 are awarded for each of the races from the opening nine events. From this point on, the top six riders in the championship standings (only) become the 'Title Fighters' for the final three events. Each Title Fighter begins The Showdown with 500 points, plus additional points for each podium position they obtained in the Main Season: 5 for a win, 3 for a second, and 1 for a third. The standard points scoring format from the Main Season then continues for The Showdown, with all points scores from the final seven races counting. Live coverage is being shown on Eurosport 2 and on Quest TV (QUEST is available on Freeview: Ch 37, BT: Ch 37, FreeSat: Ch 167, Sky: Ch 144 and Virgin: Ch 172.) and highlights on Eurosport 2 and ITV4. BikeSocial look ahead to what's set to be another memorable British Superbike season... including those all important Showdown predictions.